Welcome aboard sailing catamaran Adelina - a purpose built luxury charter vessel suitable for up to 47 guests. 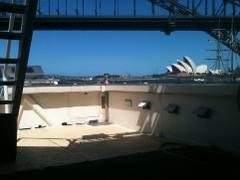 Multiple deck areas make her perfect for Christmas Parties, Harbour Cruises, New Years Eve, Boxing Day and other event days. 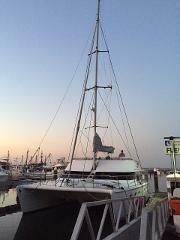 Welcome aboard the catamaran Adelina - a dual level charter vessel suitable for up to 47 guests. Two deck areas and a BBQ make her ideal for Christmas Parties, Harbour Cruises, New Years Eve, Boxing Day and other event days. Book a Private 3 hour cruise that includes laser clay shooting. Just add food, beverage and any additional entertainment to suit your needs and budget.